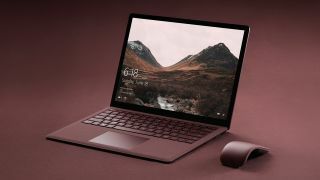 Windows 10 could see major changes to its interface next year, with Microsoft bringing its Fluent Design magic to File Explorer in the big update due to land in the first half of 2020 – but all of this is according to a rumor which seems rather shaky to say the least. This comes from a report by Italian tech site HTNovo, but there are various reasons why we need an extra-large helping of salt with this particular bit of speculation, as we’ll discuss shortly. For the uninitiated, File Explorer simply refers to the windows with which you browse files and folders on your desktop, and apparently these are set to benefit from Fluent Design, and not just a new look, but additional functionality, too. HTNovo reckons that the redesigned UI will pitch up in the update for the first half of 2020, as mentioned, but of course if that’s the case, it will appear in preview versions of Windows 10 at some stage this year. Not only is File Explorer allegedly getting this fresh coat of Fluent paint, but according to this report, it will have new support for various apps and services connected to the user’s Microsoft account, for swift and convenient access – although exactly what any of this will be isn’t clarified. HTNovo also talks about the Sets feature being on the horizon again, and expected to return to preview versions of Windows 10 over the coming quarters. There are problems with this report, though, not the least of which is that the pictures provided to show what this File Explorer redesign will look like are actually concept images mocked-up by a certain Michael West, who is credited by the tech site as an ‘internal designer’ at Microsoft. In actual fact, he’s a Windows Design MVP (most valuable professional – i.e. external experts who make big contributions to a particular field or community) who is set to join Microsoft this year as a design intern (working on SwiftKey). So the images (one of which is reproduced above) aren’t from someone at Microsoft, and in fact bear no relevance to what Windows 10’s File Explorer could end up looking like. Presumably they have been included to show how things might turn out, but this isn’t made clear by the article, which seems misleading to say the least. Furthermore, the source of the core speculation regarding File Explorer’s redesign (and the fresh functionality mentioned) isn’t specified. So, all in all, that leaves this particular rumor on rather shaky ground, as we said at the outset. Still, that doesn’t mean the Italian tech site hasn’t heard a whisper from somewhere that File Explorer is due for this overhaul. Although, in all honesty, the details presented in the article are all fair guesses anyway – surely Sets must turn up again soon, and Fluent Design is gradually spreading across the whole of Windows 10, and it will come to File Explorer eventually. Although obviously this will be the biggest piece of the UI puzzle for Microsoft to retool, so there could well be question marks over whether that will happen sooner, rather than later. The upshot is while it’s hardly unfeasible that work on a Fluent Design overhaul for File Explorer could begin this year in preview, given the way this report is put together, we are far from confident of its veracity. You may recall that last year, Microsoft brought the new dark theme to File Explorer, which is designed for when you’re working in dimly lit environments, so as not to strain your eyes.